Soon after I began working in medical research as part of a summer science program in high school, I knew that I loved academic medicine. Clinical research seemed a great way of combining my desire to do something "important" with the joy of learning. I devoted most summers in high school and college to cardiac and cardiovascular research, and I seemed destined for a career as an academic cardiologist. But in my pediatric residency in New York City, I learned that the number one reason children were hospitalized was respiratory disease. For three years I worked more than a hundred hours a week caring for children with difficulty breathing. I was struck by how little we really understood about common childhood illnesses such as allergies and asthma, croup, bronchitis, pneumonia, and cystic fibrosis; and how often our medications proved inadequate. I remember doing everything I could for a child and then sitting with anxious parents, all of us praying their child would get better. It's hard to believe now, but back then there were no specialists for these most common illnesses in pediatrics -- there were no pediatric pulmonologists. When I learned that a few of the major children's hospitals in the country had small training programs, including Harvard's Children's Hospital in Boston, a lightbulb went on for me. Here was an opportunity to do something new and special and very important. I was fortunate to have excellent pediatricians, who were really good at taking care of children with breathing problems, as role models. With their guidance, I cared for hundreds of children with asthma and watched many patients of all ages die of respiratory failure -- from two-pound babies in the neonatal ICU to teenagers and young adults with cystic fibrosis. As a resident I often stayed up all night at the bedside of a child gasping for air. I remember like it was yesterday an eight-year-old with severe croup, a disease that normally affects infants and toddlers. With croup, anxiety and fear significantly worsen respiratory distress, so I spent the night holding this boy's hand and reassuring him to keep him calm. By the time the sun came up the next morning, the medicines had taken effect. His breathing relaxed at last. I felt exhilarated; we had made it through together. Children are so wonderful, so innocent and fresh, so trusting and appreciative. No matter how tired I was after one of those thirty-six-hour shifts, I would saunter home feeling so lucky that these children and their parents allowed me to share these special moments with them. I continue to pursue solutions for these children; and I have made my life's work caring for youngsters who suffer from all types of breathing difficulties. While much of this information is applicable to adults, my area of expertise is children. If your child with allergies or asthma is older than twenty-one, this is not the book for you. 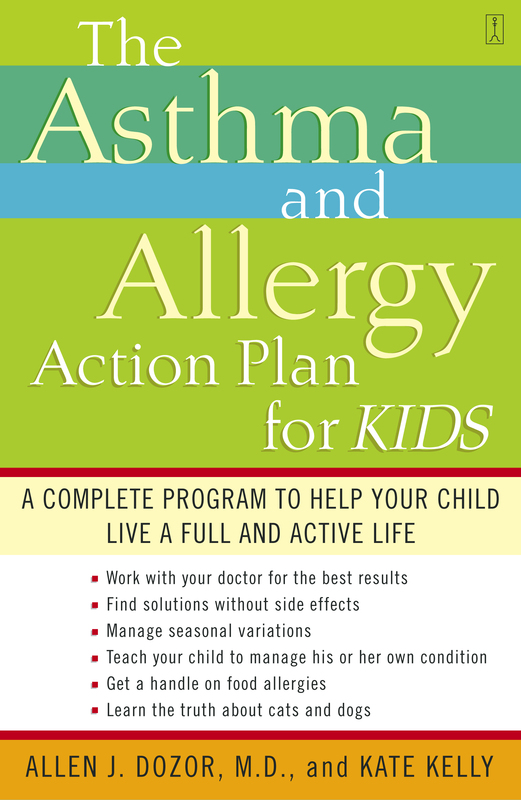 I have written this book to empower parents not to settle for less than optimal control of their child's allergies or asthma. Parents have the right to demand more from their physicians and from the medications they prescribe. I want to convey this message to as many parents as possible so our children grow up living happy, active lives. Allen J. Dozor, MD, is chief of pediatric pulmonology at the Maria Fareri Children's Hospital at Westchester Medical Center and professor of pediatrics at New York Medical College. T. Berry Brazelton, M.D author of Touchpoints: Your Child's Emotional and Behavioral Development Here at last is a book that empowers both parents and children to prevent and control this frightening disease. Nancy Sanders founder and president, Allergy and Asthma Network/Mothers of Asthmatics This is the big-picture approach parents have been clamoring for. Mike Tringale, M.S.M. Asthma and Allergy Foundation of America A superior source of up-to-date information written in a way that makes it easy for anyone to understand. It should be in the home of every person with asthma or allergies.